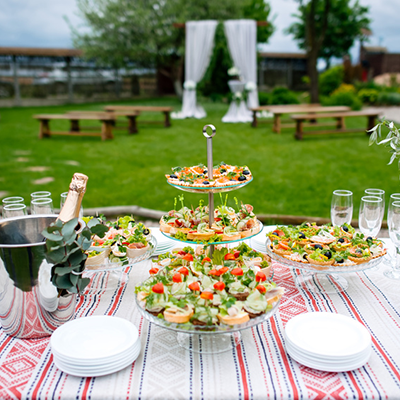 Grazing Tables are fast becoming a favourite for parties..and it's easy to see why! They're an awesome focal point for guests to chat over and nibble from as they enjoy the festivities. 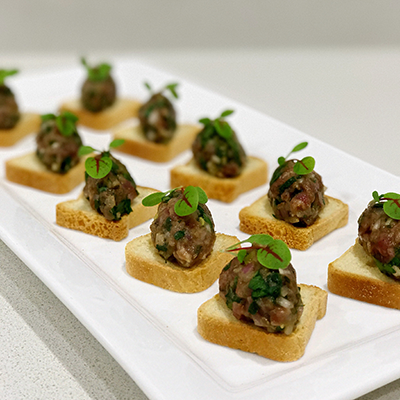 Often used as a starter before bringing out a few more substantial canapés, you can also beef it up with platters of cold canapés to take it from a starter to the main affair in a blink... The only thing holding you back is your imagination! 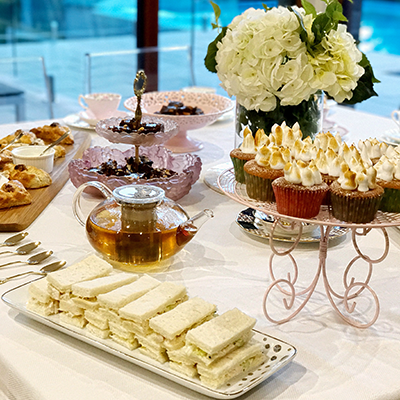 Whether your idea of High Tea comes with the perfect Royal Albert teacup or a champagne flute, it is a wonderful way to celebrate a special occasion with the ladies. There's both sweet & savoury items to choose from, create your own menu or ask us to choose what we've found most popular. Dainty morsels on a beautifully styled table set the tone for an event to remember. The all-you-can-eat buffet has come a long way baby! 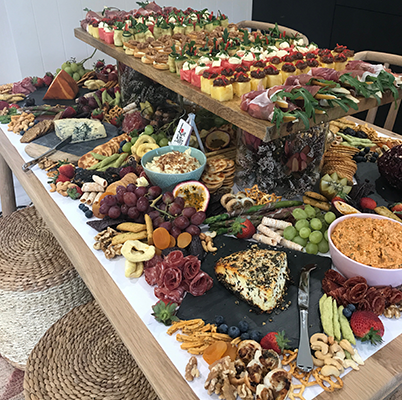 From a simple corporate luncheon buffet to gorgeously styled tables for weddings and other special celebrations, a feasting station can incorporate as much as your taste buds can handle. Try the humble sandwich or wrap but with a gourmet touch. 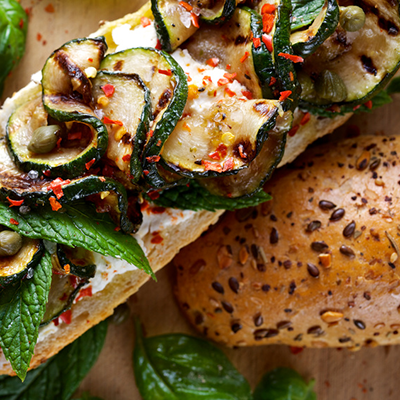 We only use Artisan baked breads and the best quality ingredients to jazz up your working lunch. If variety is key why not try a few large crostini platters & combine with a boxed salad or salad platter with a fruit platter to finish off the meal. More informal wedding receptions allow guests to mingle and the party to really take off. 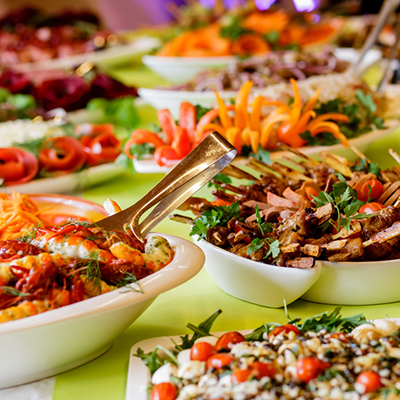 Whether you are after a grazing table, a buffet style meal, or fully serviced cocktail event get in touch with us now, we'd love to be a part of your day with the food we love! From luncheons to launches we can tailor a package to suit. 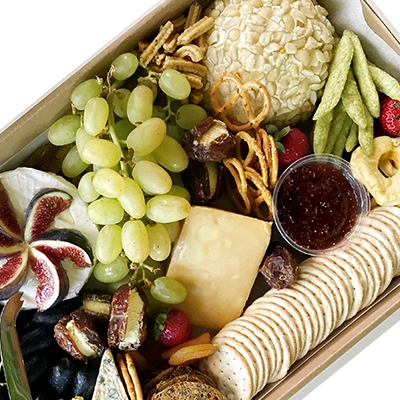 We can deliver and setup your lunches, or stay and serve as required. With a large range of food and ever changing menus as we experiment with new recipes we will keep your lunches both fresh and new. If you are ready to celebrate we can ensure that you don't have to worry about a thing but having a great time! We'd love to help you choose what you fancy most that will suit your event. 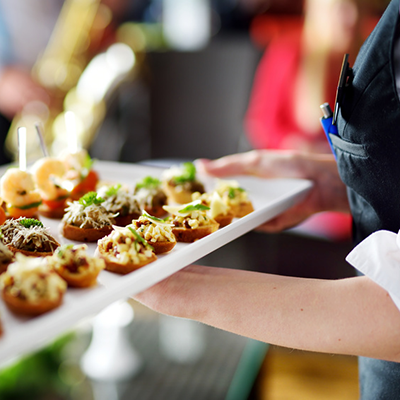 We can provide waitstaff to look after your guests with both food & beverages. I enlisted the girls @ Lovebites Catering to help me make my 40th celebration a night to remember, and they didn't disappoint! They were an absolute pleasure to work with and very helpful with my decision-making process. Their service was outstanding, delivered with professionalism and their team more than happy to accommodate to my requirements. 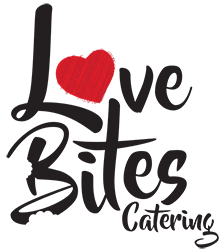 This coupled with reasonably priced food of amazing quality makes recommending them to others a no- brainer! 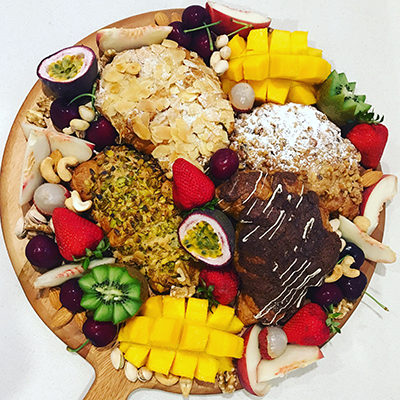 We recently invited Love Bites to assist us in catering for our College Graduation High Tea for 500 people. Every aspect from initial communication, follow up with our venue (independent of me needing to be involved), developing a menu and then to the delivery and set up of the event itself was implemented with utmost professionalism and attention to detail. Most importantly from an event management point of view, they were ahead of time and on budget with the visual display and quality of food exceeding expectations. Their careful preparation and delivery ensured a highly successful event with a minimum of fuss. I will definitely be using them again for our events. Hi! We're Caroline & Megan the best of friends who both have an ongoing love affair with food & love to throw a good party! The company of friends combined with great food...not to mention a glass of fabulous wine (or several) sums up our idea of a good time! Megan's been canapè crazy for a VERY long while. Anyone stopping past her place is fair game to be plied with her creations. Finally, after a bit of friendly encouragement (it didn't really take that much!) the idea to start making them for others took hold. That's when Caroline snatched up an apron, stepped straight into the kitchen & BAM! LoveBites Catering was born. Fast forward to now & here we are helping others to celebrate the special occasions in their lives with the food we love to make & eat. We are having great fun together... it's honestly the most enjoyable & rewarding thing we've done! Feel free to touch base with us.. we'd love to hear from you! 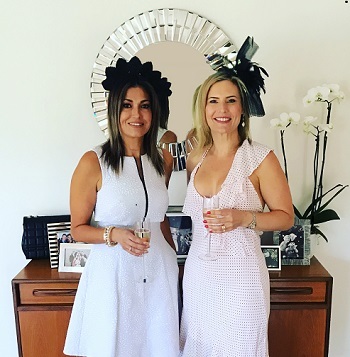 If you are out to impress or simply want to get amongst your own party, we have gorgeous waitstaff who make it their mission to ensure your guests are well looked after. You can even have our staff serve your drinks for you with prior arrangement. Be sure to mention this is your preference when you speak with us, it will be our pleasure to take care of everything for you! Our grazing tables are examples of set-ups, where we will come in and make everything look fab before leaving you to enjoy your celebration. We'll just pop back the next day & collect everything we've left. This can be expanded from just grazing tables to include plattered cold canapè feasting stations or full buffet tables as well. Sometimes for a more casual affair you might prefer to look after the service yourself. That's no problem for us, we can deliver your order ready for you to set out whenever you are ready & with some hot dishes able to be warmed rather than cooked fresh, you've got quite a bit to choose from! Call us, we can help you choose options that will work for this style of event.